Voluptuaries, consumed by their senses, always begin by flinging themselves with a great display of frenzy into an abyss. But they survive, they come to the surface again. And they develop a routine of the abyss. 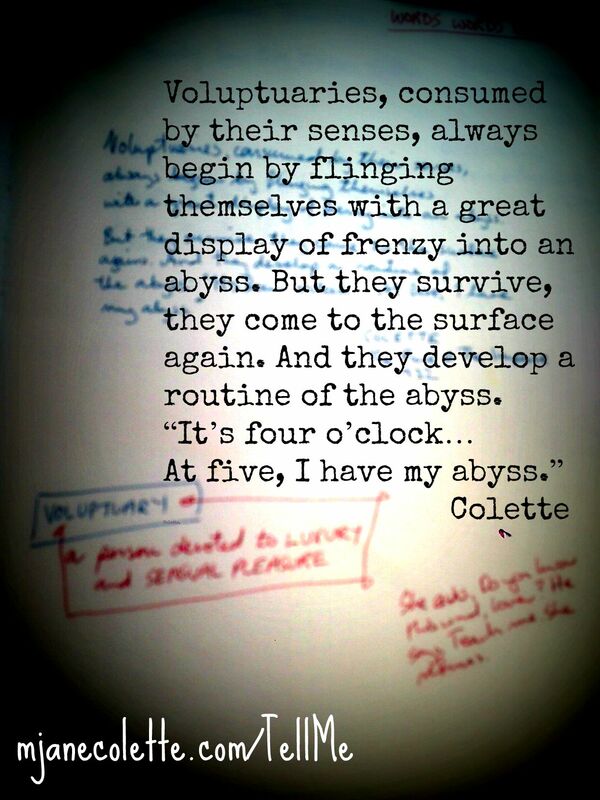 TELL ME… What time do you have your abyss?